Mads Ostberg (Adapta, Ford Fiesta WRC) was fastest in Rally Sweden shakedown. His best run was 4:11.6min, just 0.1sec better than Craig Breen (Citroen). 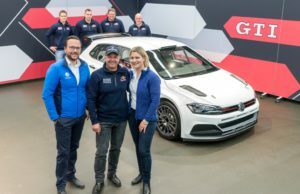 The event in Sweden is the first rally in 2017 for Ostberg. The Hyundai crews took places third, fifth and sixth with Hayden Paddon fastest of them. The Kiwi was followed by Kris Meeke (Citroen) and his teammates Dani Sordo and Thierry Neuville. “I don’t think you can read too much into the results of the shakedown. With the new rules on tyre allocation, some drivers decided not to push. Personally speaking, I wanted to drive fast to confirm my feeling in the car. That’s what I did and I’m pleased with how it went. There are very good conditions on the roads. 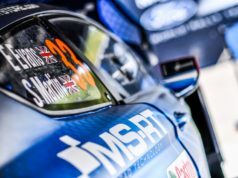 We now have to keep an eye on the sky and see if the snow begins to fall!”, Kris Meeke explained. “The conditions of the roads themselves are better than they have been for a good few years. We just don’t have the snow banks! 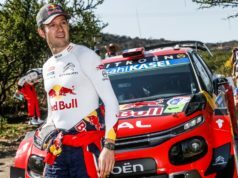 If you make a mistake, you can end up in a ditch pretty quickly…”, Craig Breen added.